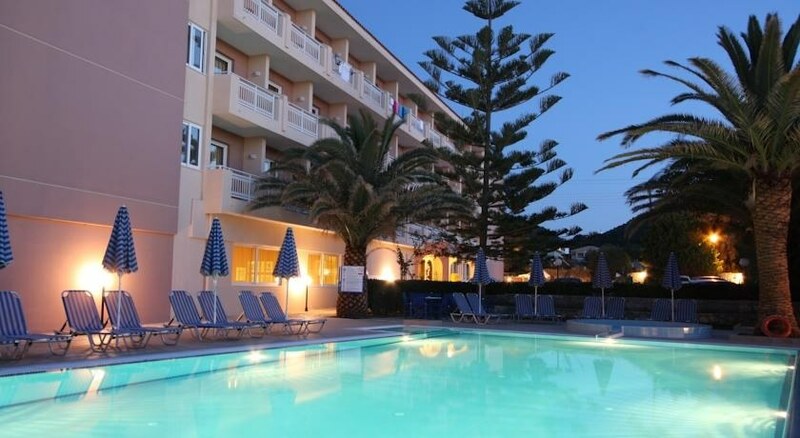 The Hotel Zakantha Beach is 500metres from the centre of the resort Argassi in Zante where there are many shops, bars and restaurants and where you can experience a buoyant nightlife. The 4 star hotel is just 17 miles from the airport with transfer times of only 25 minutes. The hotel boasts 120 rooms, all with air conditioning, satellite TV and a fridge/freezer to make your stay comfortable. 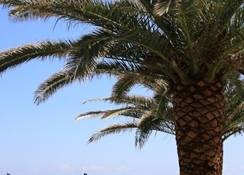 There is an outdoor swimming pool surrounded by gardens and a sun terrace, if you would prefer to hit the beach then the hotel offers direct access to the beach too. 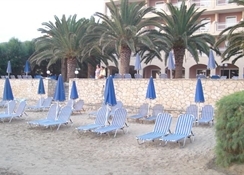 You will also find a restaurant, lounge bar, beach bar, TV area and 24hr access for a late night out in the resort. Hotel Zakantha Beach has direct access onto the adjacent beach plus an outdoor swimming pool surrounded by the hotel gardens and sun terrace. 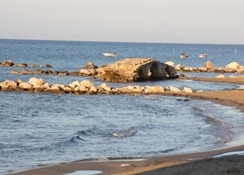 On-site there is a lounge bar and beach bar, a restaurant, TV area and 24 hour access to the hotel.